Women who do not trust employers to treat them fairly quit their jobs. Women who do not trust the fathers of their children to be reliable financial and emotional supports do not marry them. Women who do not trust child-care providers to keep children safe do not keep their children in child care (and often lose their jobs as a result). Women who do not trust their family members do not expose themselves to risk by asking for their help. And women who do not trust their caseworkers do not respond to the voluntary incentives designed to move them into the labor market. 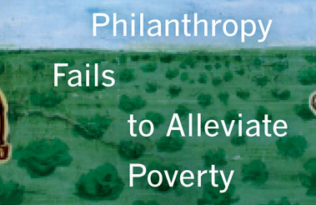 Judith Levine wrote a powerful article for the Boston Review about how issues of distrust among low-income women can wreak havoc on their economic stability, working conditions, health, and family life. 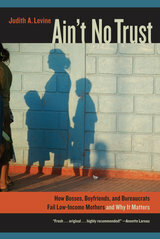 Levine’s book, Ain’t No Trust: How Bosses, Boyfriends, and Bureaucrats Fail Low-Income Mothers and Why It Matters, presents richly detailed evidence from in-depth interviews about our welfare system and why it’s failing the very people it is designed to help. Read the article for a comprehensive look at why low-income women are reluctant to trust and how our current welfare system feeds into that destructive cycle.